There are only a couple months till the 2019 NFL season starts up again and fans are starting to see some players switching their jerseys. 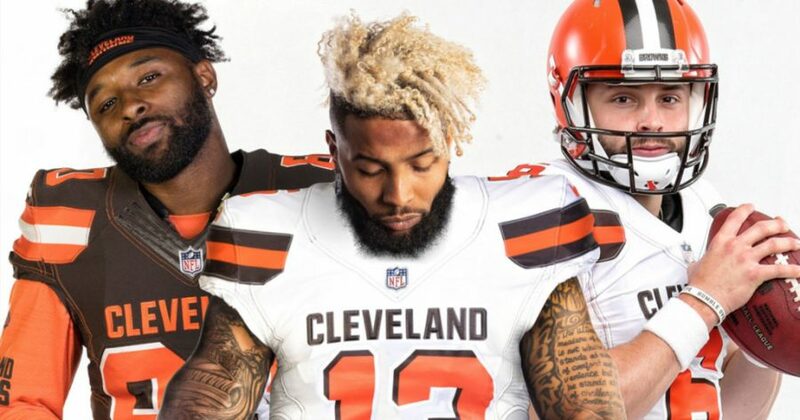 But the most shocking news to NFL fans is the trade of Odell Beckham from the New York Giants to the Cleveland Browns. As Odell Beckham Jr. being one of the top receivers in the league since his rookie year in 2014, it is a surprise to the NY Giants community. Odell Beckham has been with the NY Giants for the first five seasons of his career, who drafted him as the 12th pick of the 2014 NFL draft. He caught 390 passes for 5,476 yards and 44 touchdowns through 59 games with the Giants according to NFL.com. Bryce Hu (11) “ This will truly affect the NY Giants offense giving Eli Manning less options to throw too”. After being confirmed in the month of March, NY traded Odell for a first-round pick in 2019 as a No. 17 overall, the Browns’ second third-round pick from this year, safety Jabrill Peppers and a right guard Kevin Zeitler. As a wide receiver for Eli Manning he is now ranked third in receiving yards per game (92 yards) and third in receiving touchdowns. Josh Barton (11) “with a new team, it will bring a new style of play for Odell”. This season he will now be receiving from Baker Mayfield who has set a new NFL rookie record for touchdown passes. Leaving the fans in confusion it is unclear how Odell and the Browns offense will play together. Increasing the Browns chances of winning the Super Bowl and AFC championship it will give hope for the fans in Cleveland aside from harsh past seasons. Jacob Brown (11) states “ This will hopefully gives the Browns a chance to make it past playoffs this season”. Now playing beside his close friend Jarvis Landry it will be a new experience for the famous wide receiver Odell Beckham Jr.